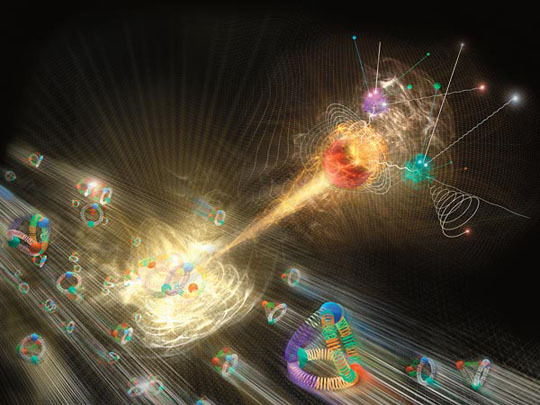 In an artist\'s conception, a Higgs boson erupts from a collision of protons. With 99% certainty, the Higgs Particle discovery is a major scientific breakthrough. It helps explain why some objects have mass in the universe and why others do not. The mass is created by a "Higgs field" and without it, it would mean life would not exist in the way we know it. The Higgs Particle is also commonly referred to as "The God Particle".